That Hyundai India is readying up the iX25 crossover for a launch next year is known, what with the South Korean car maker even testing the crossover on Indian roads. While the iX25 will make its debut in the coming weeks, at the 2014 Beijing Motor Show, news is emerging that Hyundai is also considering another crossover for the Indian car market. The new crossover will be a sub-4 meter product, at odds with the larger iX20 which is expected to measure well over 4 meters in length. The new crossover from Hyundai will be tailormade for the Indian car market, with the base likely to be the BA platform that also underpins the likes of the i10, Grand i10 and Xcent cars. 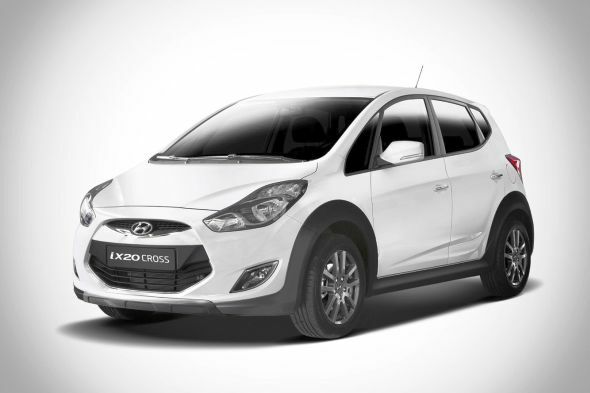 The idea of having two crossovers is to cater to two different ends of the compact SUV market in India. While the iX25 will hobnob with the likes of the Nissan Terrano and Renault Terrano in terms of price and positioning (10-12 lakh rupees), the Grand i10 based sub-4 meter crossover will sit much lower, in the 6-8 lakh rupee space that is currently occupied by the likes of the Mahindra Quanto and the Ford EcoSport. A launch time frame for the new Grand i10 based compact crossover remains unknown for now. It remains to be seen whether Hyundai India goes the whole hog to give the new sub-4 meter crossover a brand new top hat design or whether it chooses the crossover styled hatchback route. If it takes the latter route, it is one that is fraught with peril given Indian buyers’ reluctance to accept crossover styled hatchbacks. The Skoda Fabia Scout and the Volkswagen Cross Polo are glaring examples of such hatchbacks not appealing to buyer sensibilities and the upcoming Toyota Etios Cross may end up with a similar fate as well. Fiat India for its part has chosen greater differentiation through its Avventura crossover. Perhaps, Hyundai will take a leaf out of Fiat India’s book when it comes to creating a crossover based on an existing hatchback.